ETRH Resonate hand held rocker style switches provide all the features of our standard decorator switches, in a smaller portable package. The switches may be used as remote handheld devices or surface mount wall switches, when using the mounting holes or double-sided adhesive tape. The switch transmits ON/OFF signals to Echoflex controllers enabled with EnOcean receivers. 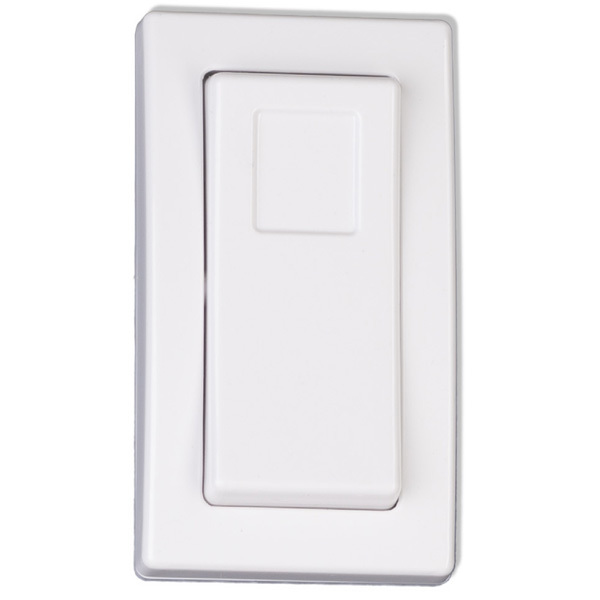 When used with dimming relay controllers, the switches can dim up or down a lighting load with a corresponding push and hold of the on or off side of the switch.